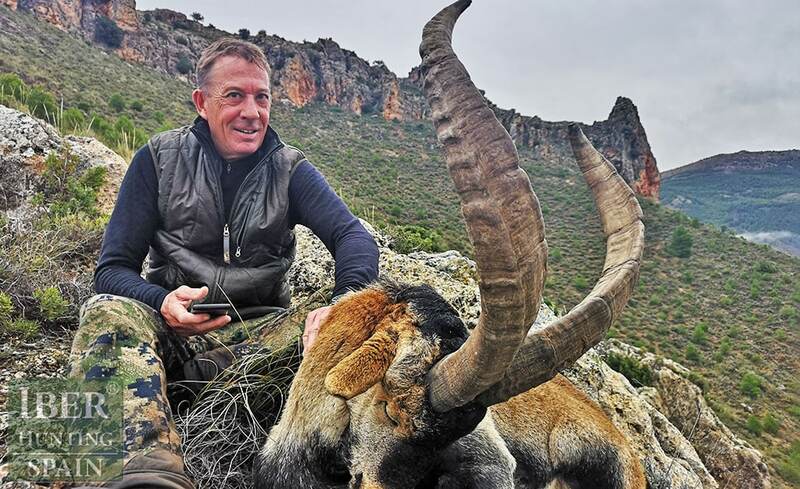 Hunt an Ibex of Sierra Nevada "medal class", a new adventure! In this adventure, with Jan Overgaard we have to try to hunt an Ibex of Sierra Nevada “medal class”. The first morning, our guard, was dedicated to control all the Ibex, while our friend and hunter arrived from his destination.After a great job as always of all the guards and collaborators of Iberhunting, he manages to locate a very good mountain male. The arrival of the hunter to the hunting area was a bit late since at this time, the night arrives very fast, even so we had the male selected in the viewer, but decided to try it in the morning due to the distance of shooting in the dark and the difficult position of the Ibex. Dawn a new day, emotions on the surface, the previous day with just one hour we had seen many Ibex and almost managed to catch one. We arrived at the same place as the previous day and to our surprise, not even an animal, rain and bad weather was what reigned on the mountain, a bit discouraged we tied our boots and climbed the mountain. After an hour’s walk I spot a spectacular Ibex gold medal about 600 meters away, hunter weapon in hand and I try to hunt it, we get to 60 meters after a perfect entrance, we put ourselves in shooting position, but we could not see the male, only the females that ate quiet. But bad luck came with the wind, A female sniffed us and all the animals ran out we had the male shot but he was on his back and walking was not a correct shot so we decided not to shoot. 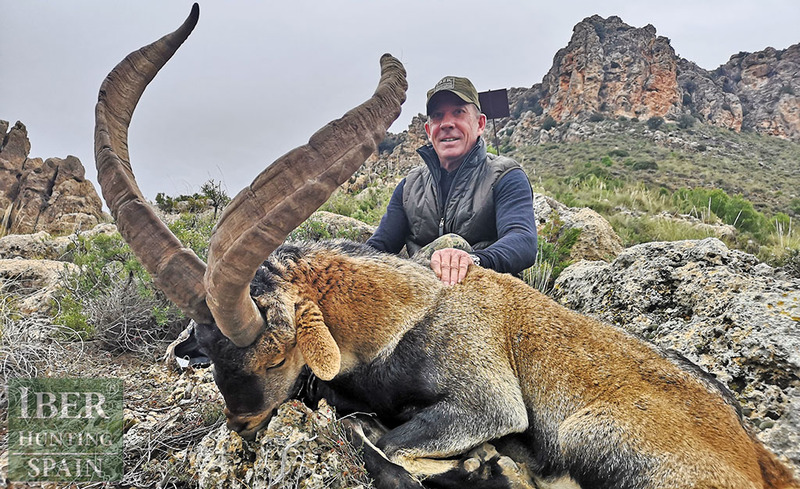 After not being able to shoot the spectacular Ibex gold medal, and to look for it in the rain several hours without success, the hunter and I hungry we return to the car to go to eat. Suddenly my station sounds, it is our guard who has located a very good Ibex lying down. The emotion invades us, since the position where it is is near the place where we are and we can shoot it from a very close position without the animal seeing us. Finally, there was our great Ibex Sierra Nevada, 160 meters away lying. We from above lying down and prepared, after a few moments valuing the Ibex trophy, our friend decides to shoot, after waiting a few tense minutes for the Ibex to stand, we managed to make a perfect shot, thanks to the Sax ammunition provided by iberzone.com, in which the Ibex did not move from the site. After the happiness of getting our coveted trophy, it was time to go and take the pictures and return to the car, probably this was the most difficult since we were 160 meters straight, but we had to walk more than two hours to reach the Ibex due to the difficulty of the mountain.